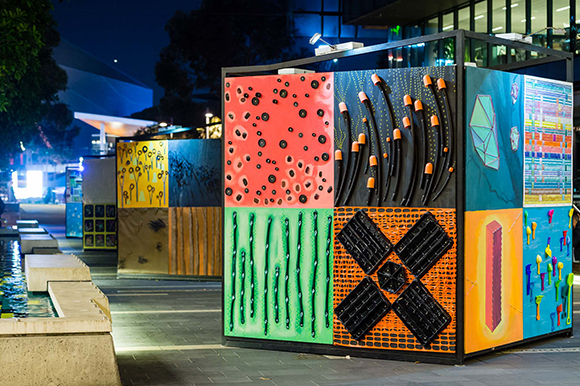 Two Australian artists used exploratory and engaging approaches to create artworks that unflinchingly reflected back to viewers the damaging results of our consumerist habits. 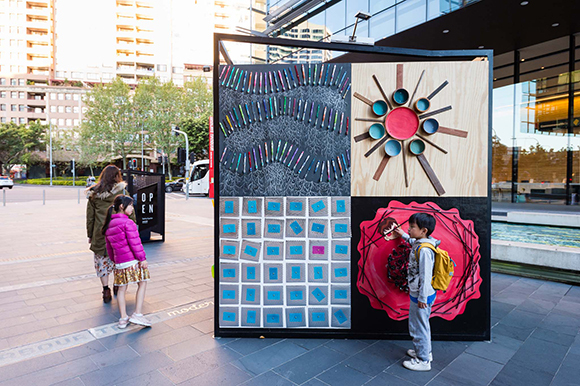 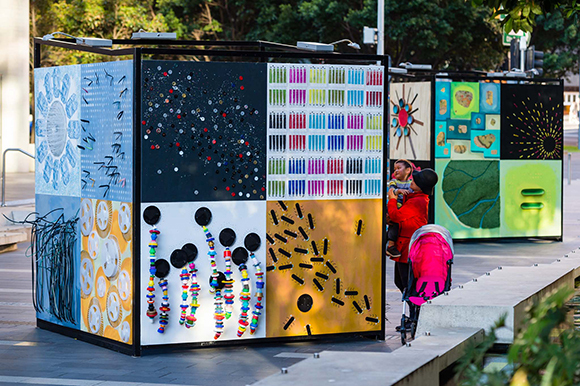 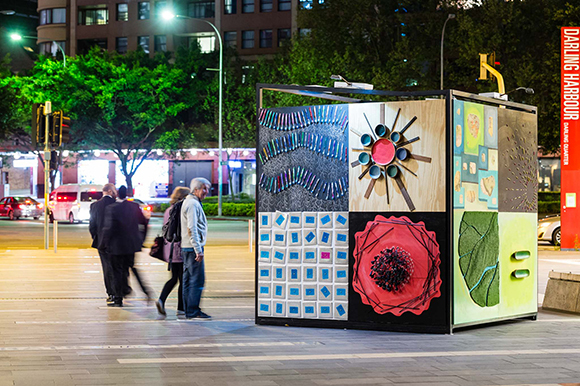 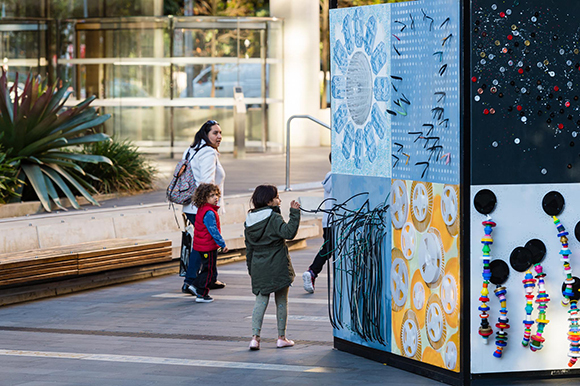 During the month of October 2018, ART FOR THE PLANET 2: FIELD was on display at Darling Quarter’s outdoor public art space OPEN, where Sydney-based artists Jane Gillings and Lucy Barker created a thought-provoking multidisciplinary body of work repurposing hundreds of different found and used objects. 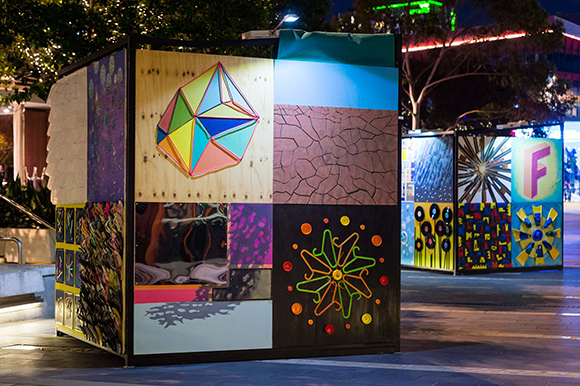 The colourful installation comprised four large display cubes, with a total of 16 plywood faces, which were further divided into four squares each, giving a total of 64 squares, or ‘fields’. 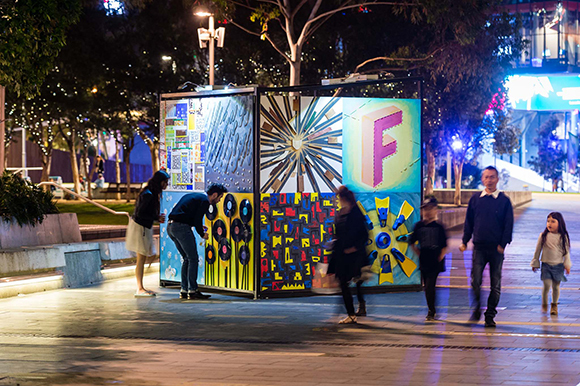 Using materials including rubber thongs, metal zippers, old paint, coat hangers, plastic chair webbing and electronic device cables, the resulting artworks were viewed by the audience in a number of ways – as agricultural fields, sporting fields, electrical fields or fields of stars, colour, sound or vision. 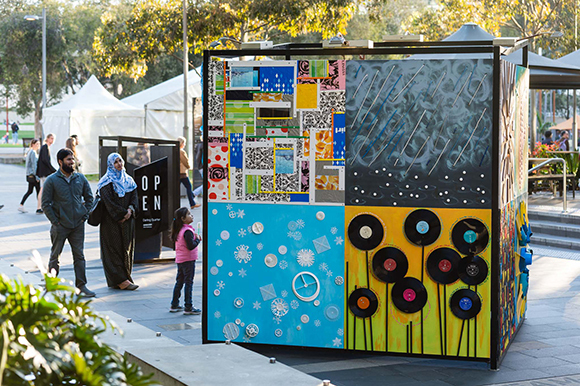 The use of these everyday items – which are typically discarded without thought or consideration as to where they go and how long they will exist – referenced the impact of our modern lifestyles on the environment and made the viewer consider their role in consumerism and overconsumption. 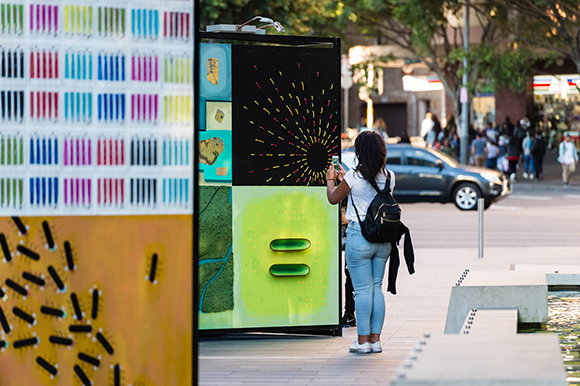 Simultaneously entertaining and confronting, ART FOR THE PLANET 2: FIELD forced the audience to reflect on their choices – both the everyday and long ranging – and the consequences they have. 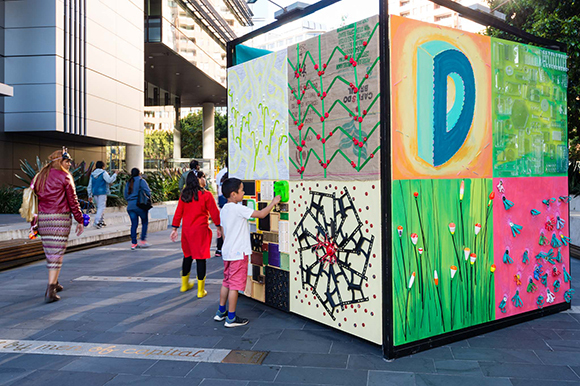 ART FOR THE PLANET 2: FIELD was curated and produced by aMBUSH Gallery (an initiative of Wiltshire + Dimas Management) and presented by Darling Quarter.